"RMAF" redirects here. For other uses, see RMAF (disambiguation). The Royal Malaysian Air Force (RMAF; Malay: Tentera Udara DiRaja Malaysia (TUDM)) was formed on 2 June 1958 as the Royal Federation of Malaya Air Force (Tentera Udara Diraja Persekutuan). 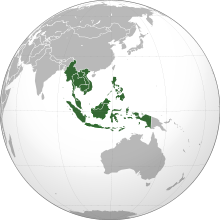 However, its roots can be traced back to the Malayan Auxiliary Air Force formations of the British Royal Air Force in then colonial British Malaya. Today, the Royal Malaysian Air Force operates a unique mix of modern American, European and Russian-made aircraft. Labuan Air Base with CAC Sabre in 1965, today became the main airbase for East Malaysia. The Malaysian air forces trace their lineage to the Malayan Auxiliary Air Force formations of the Royal Air Force (RAF) raised in 1934. They later transformed into the Straits Settlements Volunteer Air Force (SSVAF) and the Malaya Volunteer Air Force (MVAF) formed in 1940 and dissolved in 1942 during the height of the Japanese advance over Malaya. 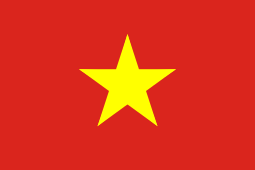 The latter was re-established in 1950 in time for the Malayan Emergency and contributed very much to the war effort. On 2 June 1958, the MVAF finally became the Royal Federation of Malaya Air Force (RFMAF), this date is celebrated as RMAF Day yearly. On 25 October 1960, after the end of the Malayan Emergency, the RAF handed over their first base in Malaya to the RFMAF, at Simpang Airport; it was established on 1 June 1941, in Sungai Besi, Kuala Lumpur which was formerly part of Selangor and the national capital city. The first aircraft for the fledgling air force was a Scottish Aviation Twin Pioneer named "Lang Rajawali" by the then Prime Minister Tunku Abdul Rahman. Several Malayans serving with the Royal Air Force transferred to the Royal Federation of Malaya Air Force. The role played by TUDM was limited initially to communications and the support of ground operations against Communist insurgents during the Malayan Emergency. TUDM received its first combat aircraft with the delivery of 20 Canadair CL41G Tebuans (an armed version of the Canadair Tutor trainer). TUDM also received Aérospatiale Alouette III helicopters, to be used in the liaison role. A Twin Pioneer Mk.1 "Lang Rajawali" (FM1064 c/n:583) on display at the Malacca Transport Museum. With the formation of the Malaysian Federation on 16 September 1963, the name of the force was changed to "Tentera Udara Diraja Malaysia" or "Royal Malaysian Air Force". New types introduced into service included the Handley Page Herald transport and the De Havilland Canada DHC-4 Caribou. TUDM received Sikorsky S-61A-4 helicopters in the late 16 and early seventies which were used in the transport role. TUDM gained an air defence capability when the Australian Government donated 10 ex-Royal Australian Air Force (RAAF) CAC Sabre fighters. These were based at the Butterworth Air Base. After the withdrawal of British military forces from Malaysia and Singapore at the end of 1971, a five-nation agreement between Malaysia, Singapore, New Zealand, Australia, and the United Kingdom was concluded to ensure defence against external aggression. The RAAF maintained two Mirage IIIO squadrons at the Butterworth Air Base as part of its commitment to the Five Power Defence Arrangements. These squadrons were withdrawn in 1986, although occasional deployments of RAAF aircraft continue. With the withdrawal of British military forces, TUDM underwent gradual modernisation from the 1970s to the 1990s. The Sabres were replaced by 16 Northrop F-5E Tiger-IIs. A reconnaissance capability was acquired with the purchase of two RF-5E Tigereye aircraft. TUDM also purchased 88 ex-US Navy Douglas A-4C Skyhawks, of which 40 of the airframes were converted/refurbished by Grumman Aircraft Engineering at Bethpage into the A-4PTM ('Peculiar To Malaysia'), configuration (similar to A-4M standard). 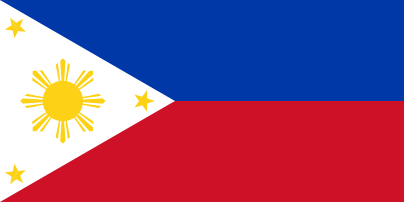 TUDM has traditionally looked to the West for its purchases, primarily to the United States. However, limitations imposed by the US on "new technology" to the region, such as the AIM-120 AMRAAM fire-and-forget air-to-air missile, has made TUDM consider purchases from Russia and other non-traditional sources. 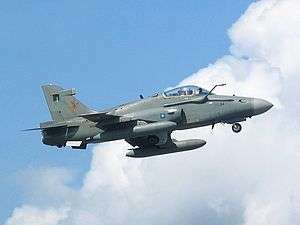 The 1990s saw the arrival of first the BAE Hawk Mk108/208 which replaced the T/A-4PTMs, followed by the MiG-29N/NUB in 1995 in the air superiority role and delivery of the F/A-18D Hornet in 1997 to provide an all weather interdiction capability. In 2003 a contract was signed for eighteen Su-30MKMs for delivery in 2007 to fulfill a requirement for an initial order of multi-role combat aircraft (MRCA). A requirement for a further eighteen MRCAs remains unfulfilled. TUDM is also looking for an AWACS aircraft, although no firm orders have been placed. On 8 December 2005, four Airbus Military A400M aircraft were ordered to enhance the airlift capability. The first Malaysian A400M is delivered in March 2015. In late 2006, the Government signed a contract to purchase eight Aermacchi MB-339CMs to add to the eight MB-339AMs already in service. In March 2007, then-Deputy Prime Minister and Defence Minister Najib Razak notified the public that the MiG-29s would continue in service until 2010. Later that year, Najib announced the Nuri (Sikorsky S-61A-4) helicopter, in service since 1968 with 89 crew members killed in 15 accidents, would be phased out by 2012 and replaced by the Eurocopter EC725. Deputy RMAF Chief Lieutenant General Bashir Abu Bakar told the media after opening Heli-Asia 2007, that tender assessment for the replacement of the Sikorsky S-61A-4 would occur in early 2008. In June 2009, RMAF chief General Azizan Ariffin said that the air force would replace their MiG-29s with aircraft that have better agility and the capability to attack enemy forces. At the 12th Defence Services Asia (DSA) exhibition 2010, a Letter of Agreement (LOA) was signed for 12 EC725 helicopters to be supplied to the RMAF. With that, EADS, (the European Aeronautical Defence and Space Company), has pledged 100 million Euros to set up a comprehensive helicopter centre in Subang for an aeronautical academy, training, simulation and a maintenance, repair and overhaul facility for the EC725 Cougar military version and the EC225 civilian model. In late 2013, Vector Aerospace, a global independent provider of aviation maintenance, repair and overhaul (MRO) services, with its subsidiary, Vector Aerospace Helicopter Services-North America ("HS-NA"), one of the world’s leading providers of helicopter maintenance, repair and overhaul (MRO) services was chosen to carry out a comprehensive fully integrated glass cockpit installation for the S-61A-4 Nuri, breathing new life in an already well established platform, and giving a modern,reliable and cost effective product that will carry the S61A-4 Nuri well into the future. The Royal Malaysian Air Force currently has an MRCA replacement program to replace the MiG-29 and F-5 fighters that will be retired by the end of 2015. The MRCA replacement program is currently narrowed down to 4 types of aircraft (Eurofighter Typhoon, Dassault Rafale, F/A-18E/F Super Hornet and Saab JAS 39 Gripen). Under the program, the RMAF is looking to equip three squadrons with 36 to 40 new fighter aircraft with a budget of RM6 billion to RM8 billion (US$1.84 billion to US$2.46 billion). Airbases of the Royal Malaysian Air Force. Sukhoi Su-30MKM Russia Jet Multirole fighter 18 18 Specialised development of the Sukhoi Su-30 for the Royal Malaysian Air Force. Boeing F/A-18D Hornet USA Jet Multirole fighter 8 8 All-weather. Mikoyan MiG-29 Russia Jet Air superiority fighter 12 12 10 x MiG-29N, 2 x MiG-29NUB Scheduled for retirement in 2015. Northrop F-5 USA Jet Light attack, Reconnaissance 18 18 16 x F-5 Tiger II, 2 x RF-5E Tigereye. Scheduled for retirement in 2014. Airbus A400M EU Jet Long range/tactical military transport 2015 3 1 First A400M received in 2015. One more pending delivery. Lockheed C-130 Hercules USA Propeller Military transport, Maritime patrol aircraft, Aerial refuelling 15 15 10 x C-130H, 1 x C-130MP maritime patrol (can be reconfigured into tactical airlift), 4 x KC-130T aerial refuelling tankers. Boeing BBJ1 (737-700) USA Jet Transport 1 1 VIP transport. Aermacchi MB-339 Italy Jet Lead-in fighter, Light fighter 18 24 10 x MB-339AM, 8 x MB-339CM. Pilatus PC-7 Turbo Trainer Switzerland Propeller Trainer 47 47 30 x PC-7, 17 x PC-7 Mk II. Aérospatiale Alouette III France Helicopter Trainer 13 33 SA-316B, SA-319B. 7 × SA-316Bs transferred from RSAF in 1978/9, 10 transferred to Malaysian Army Aviation. Sikorsky SH-3 Sea King S61A-4 Nuri USA Helicopter Transport, SAR 17 31 Built by Agusta under license. 12 transferred to the Malaysian Army Aviation. Sikorsky S-70 Black Hawk USA Helicopter Transport 6 6 2 x S-70. 4 S-70A transferred to RMAF from the RBAF. CTRM Aludra Malaysia UAV Patrol Mk.1 and Mk.2. Coastal surveillance. ScanEagle USA UAV Patrol Coastal surveillance. Until the late 1970s, the Royal Malaysian Air Force used the same officer ranking system as the Royal Air Force. They were replaced by army-style designations and given Malay title equivalents, but the sleeve insignia remained the same mirroring the RAF practice, but all General Officers wear 1 to 5 stars on the shoulder board in addition to the existing sleeve insignia. The list of ranks which are currently used are shown below (in descending order). NCOs and enlisted ranks remained unchanged, and retain their pre-1970s names. All officers, with the exception of the Marshal of the Royal Malaysian Air Force apply the Air Force acronym (RMAF, TUDM) to their rank title, to differentiate from their Malaysian Army equivalents. For example, a Colonel in the Air Force would be titled Colonel, RMAF or Kolonel, TUDM in Malay. The special arm of the RMAF is known as PASKAU (a Malay acronym for Pasukan Khas Udara, which loosely means 'Special Air Service'), and is part of the RMAF Regiment. PASKAU was formed in response to a mortar attack by the then Communist Party of Malaya on a DHC-4 Caribou in the 1970s at the Kuala Lumpur Air Base. During peacetime, the unit is tasked with responding to aircraft hijacking incidents as well as protecting the country's numerous RMAF airbases and civilian airports. Its wartime roles include ground designation, sabotaging of enemy air assets and equipment and the defence of RMAF aircraft and bases. This unit is also deployed for counter-terrorism duties as well as Urban warfare/Close quarters combat. 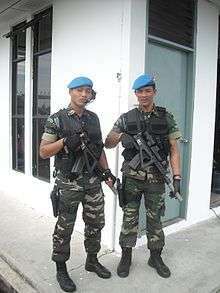 This is the military police unit of the RMAF Regiment, mandated to provide military police duties in RMAF air bases. The Kris Sakti (English: Magic Dagger) is the recently founded aerobatic display team of the Royal Malaysian Air Force.It makes its debut on 2011 Langkawi International Maritime and Air Show on December 2011. They operated four Extra 300L aircraft. ↑ "Malaysian Armed Forces". Global Security. Retrieved 1 March 2016. ↑ See Equipment of the Royal Malaysian Air Force. 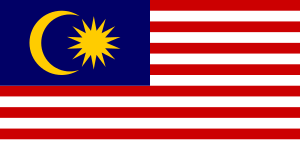 ↑ "Malaysia: Military plane delivery delayed". Agence France-Presse. Business Times. 6 November 2009. Archived from the original on 13 December 2009. Retrieved 7 November 2009. ↑ "First Royal Malaysian Air Force's A400M military airlifter rolled out of the paintshop". Air Recognition. 22 January 2015. Retrieved 22 January 2015. ↑ "RMAF's two new copters arrive". Eurocopter Malaysia. Retrieved 22 January 2015. ↑ "International Tender For Nuri Replacement To Open Soon". Bernama. 24 October 2007. Archived from the original on 24 January 2009. Retrieved 22 January 2015. ↑ "TUDM tunggu keputusan kerajaan ganti MiG-29N" (in Malay). Utusan Malaysia. 4 June 2009. Retrieved 22 January 2015. ↑ "DSA 2010: Asia's Largest Defence and Security Exhibition Closes on a 'High' Despite Challenges (Ministry of Defence Malaysia signs RM10.355 billion contracts)". Defence Services Asia. April 2010. Archived from the original on 3 November 2010. Retrieved 22 January 2015. ↑ "Eurocopter likely to deliver 12 EC725 helicopters to Malaysia". Defense World. 21 April 2010. Archived from the original on 23 July 2011. Retrieved 22 January 2015. ↑ "Aerospace corp to set up copter centre in Subang". New Straits Times. 22 July 2010. Archived from the original on 22 June 2011. Retrieved 22 January 2015. ↑ John Gilbert (18 March 2014). "Three fighter jet makers to submit leasing bids". The Malaysian Reserve. Archived from the original on 19 August 2014. Retrieved 22 January 2015. ↑ "Russia Starts Missiles Delivery for Su-30MKM Jets Designed for Malaysia". Sputnik News. 17 March 2015. Retrieved 17 March 2015. ↑ "Sukhoi, Malaysia Sign $100 Mln Deal on Fighters' Maintenance". Sputnik News. 28 March 2013. Retrieved 28 March 2013. ↑ Hafizahril Hamid (20 December 2015). "Evolusi F/A-18 Hornet" (in Malay). Utusan Malaysia. Retrieved 20 December 2015. 1 2 3 4 5 6 "AMR AIR FORCE DIRECTORY 2013". Asian Military Review. Retrieved 30 August 2015. ↑ Craig Hoyle (22 October 2010). "Selex Galileo to protect Malaysia's Hawk fleet". Flightglobal. Retrieved 30 August 2015. ↑ Marhalim Abas (21 November 2014). "Sayonara F-5, It was Nice Knowing You". Malaysian Defence. Archived from the original on 29 November 2014. Retrieved 21 November 2014. ↑ Hani Shamira Shahrudin (13 January 2016). "RMAF receives second A400M aircraft". New Straits Times. Retrieved 13 January 2016. ↑ Greg Waldron (17 April 2012). "Malaysia to receive first A400M in January 2015". Flightglobal. Retrieved 30 August 2015. ↑ Dzirhan Mahadzir (16 March 2015). "Malaysia expects first A400M to achieve IOC in mid-2015". IHS Jane's 360. Retrieved 30 August 2015. ↑ "Order of Battle - Malaysia". Military Aviation Press. Retrieved 30 August 2015. ↑ "Army gets first batch of Nuris". The Star. Retrieved 30 August 2015. 1 2 Marhalim Abas (23 January 2015). "RMAF getting Brunei Blackhawks". Malaysian Defence. Archived from the original on 22 March 2015. Retrieved 16 September 2015. ↑ Marcel Burger (23 January 2015). "Brunei gives four Black Hawks as present to Malaysia". AIRheads. Retrieved 24 January 2015. ↑ "ALUDRA MK1 (Alliance Unmanned Developmental Research Aircraft)". Unmanned Systems Technology Sdn Bhd (The ALUDRA MK1). Retrieved 30 August 2015. 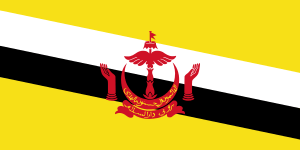 ↑ This rank is only used by the Yang di-Pertuan Agong as the Supreme Commander of the Malaysian Armed Forces. 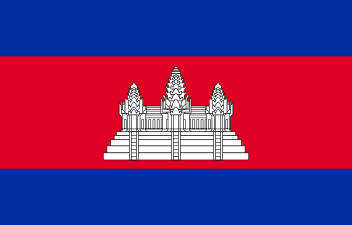 ↑ The Chief of Defence Force and the Chief of the Air Force hold this four-star rank. ↑ This three-star rank is bestowed on the commanders of the various RMAF commands, and by the Vice Chief of the Air Force. ↑ "History of RMAF". Blogger. 26 October 2009. Retrieved 22 January 2015. Wikimedia Commons has media related to Royal Malaysian Air Force.